Venice is one of those picturesque cities that everyone wants to visit at least once in their life. Venice has hardly changed over the last few hundred years thanks to its beautiful architecture that everyone wants to preserve. It adds charm, style and beauty to this romantic Italian destination, and you’re going to want to explore every little corner of this wonderful holiday location. What many people don’t know is that the airport in Venice is actually on the mainland. If you want to explore the best that Venice has to offer, then you’ll either need to reach the Venice Island either by water taxi or ground transportation. Look for Marco Polo airport to Venice City when you arrive and you’ll find there are some unique ways to travel over to the islands. There are many service desks in the airport itself that will help you get across, but you’ll save plenty of money if you plan ahead and book it as part of your flight. Eating out in Venice can be quite pricey, and hotels aren’t any cheaper either. If you want to save some money, then look for affordable bed-and-breakfast deals or search for hostels that you can stay in. There’s no need for luxury when it comes to sleeping in Venice because you’re already surrounded by picturesque locations and beautiful sights wherever you look. Save money on your trip to Venice by booking well in advance and look for the cheapest options available to you in order to save money. Getting around Venice is mainly done with public transport, including water buses. When you navigate the canals, it’s important to try and learn the routes and pay using a city pass so that you can save money. There’s a lot to see in Venice, so make sure you look at the cheapest methods of transport especially if our hotel, hostel or bed-and-breakfast is located far away from the main attractions. Venice is like a maze, and you’re going to get lost with a map or a proper plan of where you want to go. Before you head off to Venice, make sure you do as much research as possible so you can plan a route of where you’d like to visit. Some common places include Palazzo Ducale, Basilica di San Marco, The Ghetto and Scuola Grande di San Rocco. 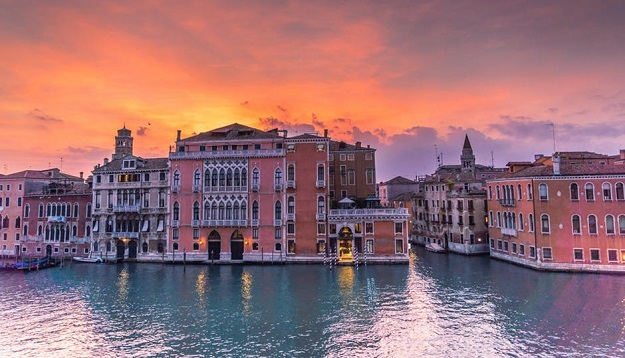 With so many beautiful locations to explore, cultural gems to uncover and food to sample, you won’t regret a trip to Venice as long as you take the time to plan your trip out properly. Once you find some great deals and learn to pick up a travel pass for public transport, you’ll find that exploring Venice is a breeze and you’ll be eager to come back for more in the future. With magnificent art, palaces, food and music to indulge in, there’s no lack of enjoyment in Venice.